Why Do People Bully In The Workplace? 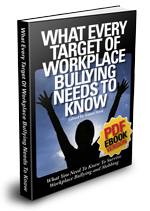 There is a lot of literature out there devoted to describing the negative consequences of bullying in the workplace. This article explores some of the reasons why people actually bully. This list is by no means exhaustive; much of it is based on personal observation and experience. Some people just cannot help themselves! The minute they are entrusted with any form of power they cannot resist the urge to bully and cajole people. Call them psychopaths, control freaks or just plain mean-spirited; these people thrive on bad behaviour and making other people’s lives a misery. Many bullies behave in this manner because they have low self-esteem. Putting down or intimidating other people can be an ill-informed way of proving their own self-worth. Yes, we all have different personalities and we’re not going to like everyone we encounter. However some people will take it a stage further and bully someone purely on the basis that they do not like an aspect of their personality. It can go in every direction. An introvert, for example, may bully an extroverted or gregarious personality or vice-versa. It is devastating to observe the effects of this on the individual/s concerned. Systematic, prolonged bullying can destroy a person’s sense of self worth and make them a shell of their former self. Unfortunately on far too many occasions the victim can become the tormentor. If the opportunity arises some people cannot resist the temptation to bully if the boot is on the other foot. Many people’s first impression of their workplace can be a negative experience. 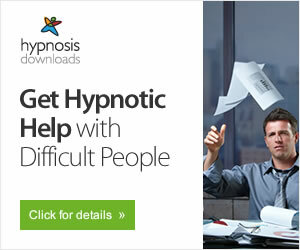 Their first manager may be a megalomaniac or a psychopath who thrives on humiliating and intimidating people, especially vulnerable new members of staff. First impressions do count. If you are constantly subjected to this kind of behavior during the most impressionable time of your career, the chances are you will repeat this kind of behavior when you eventually assume a managerial role. Some people need to be pushed; it’s the only way to get results! Often times the barking, bellowing monster may declare that their personal style of management is robust and that if they are not shouting and screaming then no work will ever get done. Many people think they are immune because of the sheer force of their personality. How many times do we hear it said of somebody, “That’s the way that ....... always is. You cannot change them”. I’m sorry, I would like to think that in this more enlightened age where bullying in the workplace is now being taken more seriously people will be required to adapt and modify bad behaviour. One last point; many people share the view that bullying behaviour is the sole domain of people who occupy managerial roles. Incorrect! Bullying can be found in every layer of an organisation. Yes, it does go up-down but it also goes down-up (In my experience as a leadership development facilitator, I have encountered many people in supervisory roles who have been traumatised by a bullying experience) and it certainly goes across from colleague to colleague. Not only should we be aspiring for zero-tolerance but in an ideal world the ultimate aim should be zero-occurrence.